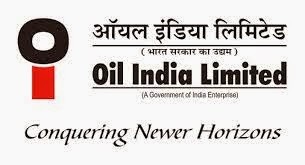 OIL INDIA LIMITED,a Navratna Public Sector Undertaking is the pioneer and second largest national upstream Oil and Gas Company with a pan Indian presence and growing global footprint. OIL is all set to conquer newer horizons of all-round growth and excellence. It is engage d in Exploration, Production and Transportation of crude Oil,Natural Gas and Manufacture of LPG with its field Headquarters at Duliajan,Dist.Dibrugarh, Assam. Qualifications: Should have done Graduate Degree in Instrumentation Engineering or Electronics & Telecommunication and Minimum 03 (three) years of working experience .